A translator to convert normal text into creepy zalgo text. An eyeless abomination with seven mouths. You may have found this page after seeing someone post creepy zalgo text (l̶͓̀̈́͆͒̆͗͝į̶̘̪̫̤͙̤̯̫̻̺͇̗̼̑͗̋̄̂̑͠ķ̷̛͓͉̫͓̦̪̱͔̖̻̈́̓͌̀͐̅̉͗̀̊͠ȩ̸̪͙̬̩̼̺͕͙̼͚̻̠͚͆̀͆̋͝ ̴͖̹̮̯̑́̿̀̐̓̅t̵̢̼͙̙͇͙͎̳͖̀̔͒̈́̚ḩ̵̟͖̺̭̜͈̝̾̋i̴̗̲͈͎̤̮̫̳͖̐̒̾̀͊͠ş̷̢̻̝͓͚͉̜̳̗̼͖̺̬̑̓̽͗͛̂̎̃̽̓̄͘ͅ) in the comments of a blog post, youtube comment, or other social media page. It's also called "void text" and it's characterized by messy markings that make it look "hacked" or "glitched". And now that you're able to genertate your own zalgo text using the above translator, you're probably wondering: How is text converted into weird text like this? Well, the story starts with Unicode. Unicode is an industry standard that manages all of the characters that you view on most of your electronic devices. Unicode contains certain special characters called "combining character". Rather than being their own individual letters, these characters are added to other letters and symbols. The result: we can add weird glitchy marks to your text. In the study of written language, the marks that are added are called "diacritics". Though they are useful for generating crazy text which we can copy and paste into the comments of a funny cat video on YouTube, they're also very useful when we want to augment the way a letter is pronounced. 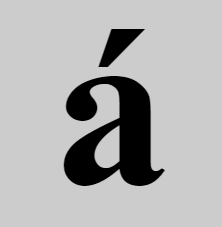 By adding a diacritic, we can specify that the letter is pronounced in a different way than usual. When you first saw this strange text, you might have thought it was a hack or glitch which caused it, but, of course you now know that that is not the case. Anyone can convert their text into weird hacky text w̶̞͇̿͊̿̿̿̌̀̈́͗̄̔͝i̵̛͖̪͉͑̆̌̆̐͒̈́̎͛͘͘̚͝͝ţ̵̝͎̜̞̩͚̼̰̰̻̥͒́͋̒͛̌́̿h̴̢̧̡̻͍̦̙̹̝̹̬̺̲̗͂̈̏͆̚͠ ̶̧͎̜͖̣͎͔̘̳͓̗͎͈̪̇͑̉͘͝ǎ̶̞͕̩̭̺̘́̐̎̔̀̀̔͆̚͘͜ͅl̴̰̲͔̈͝ļ̷̧̛̜͔̘͈̯̖̥̌̋͋̿̇̔̌̈̍̕͝ͅ ̵̧͔̥̣͚͚͇̦̱̝̘̝̽̔͜ͅs̸̨̢̛̺̫̬̠̗͉̩̩͉̩̺͛͊̀̓̂̃̔̇̓̎͆͊̚ó̸̠͍͖̗̼͓̀̀̇́̒̃́̔̑ř̶͉̅̉̀̐̃t̶͕̬̯̰͓̣͋̅̆̽̌̈́ș̶͈̬̔͑̅͛͜ of strange marks - no hacking skills required ;) That's not to say that you can't use this translator to create glitchy text ą̶͉̫̫̣̳̜̦̆̏̋̽̾̊̏͘ͅn̸̨̨͈͖̝͚̰̬͓̗̫̹̓̑͒͊d̵͍̹̠͍͖͈̬͋̏̀̍͝ wow all your n00b friends. You can copy and paste creepy text into most blog, and social media comment sections. That's probably where you first saw this weird text before you came looking for a translator. If you cut and paste it into form which only allows a certain subset of unicode characters, then the strange glitchy marks may be removed, or possibly all of your text. Examples of where you probably can't use it are for when you're creating an email address, and when you're creating a website domain. Zalgo can also refer to the creature which pervades zalgo memes - a creature of indescribable terror. He is also known as "He Who Waits Behind the Wall" and the "Nezperdian Hivemind". There is the distinct possibility that you arrived at this translator without any creepy context. You may have just been looking for something to make your text look messy - like all the c̵̡̨̛̭̪͙͓̥̋̾̈́͋̽̌̌͊͊̊͑h̵̰̳̱̃́̂̈́̇͛͆͗̈͛̽̽̚̕ͅḁ̵͕͓̻͔̖́͗̾̈̉̑̈́̈́̎͝͠ͅr̴̡̫̱̝̤͇̭̙͇͈͉͙̔̊͂̃̾a̵͈͚̤̖̾͗̀̽̽̈́̈́͌̍̚͜͝c̷̡̆̀͒̓̀̀͛̎̐̔̔̄̓̔̇t̷̢̨̡̛̩͉͇͕̭̥̭͑̆̄̈̌̽̾̋͐͝è̵̬͚ŗ̸̢̛̹̙̙͕͈̠̲͆̄̄͌̋͒̔̽̄̏̌͘͘͠s̶͖̤̙̆͌̏̒̅ are messed up. This translator definitely does produce messy text, but maybe you were looking for something a little less messy, like this fancy text generator.